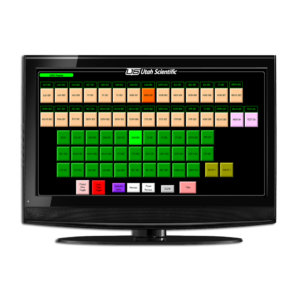 Utah Scientific offers a wide range of control panels to suit any type of routing switcher application. Whether you need a simple single-bus panel where you select a source by pushing a single button or a very sophisticated multi-bus / multi-level control panel that can operate the entire system, Utah has the panel that will exactly fit your requirement. The UCP-LC family of panels represent a completely new approach to router control panels. 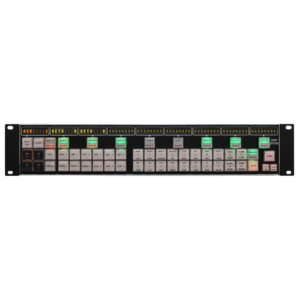 These panels use dynamic labeling of high-resolution LCD switches and touchscreen displays to provide a completely ‘soft’ user interface which is driven by a unique user-configurable menu system to provide a very powerful yet user-friendly means of controlling any routing system. The UCP Series is a wide array of control panels to suit multiple types of routing switcher applications. This involves simple single-bus panels where source selection is made by single button access to very sophisticated multi-bus / multi-level control panel that can operate the entire system.